Please hold on..bare with me for sometime as i have shared a couple pics..i just hope you will not get bored.. It has Kraft paper,old paper,tiny white flowers,mesh fabric and rustic gold colors..hmm,what not to make it look like a feast...i loved it and if so you do??? Please leave some love here in comment or do follow my blog...i love making new friends lol.. Sharing my card in following challenges where i feel its apt for this months challenges...do have look around in the challenge blog i list below..you will it interesting and more inspiring too.. I don't think anyone could get bored looking at this gorgeous creation Roshini! I love the mix of Kraft with old paper and white, it is so effective. The poinsettia is stunning! Roshini I agree with Redanne! No way could anyone get bored looking at this beautiful project! I think you did an amazing job with this! I love the golds and rustic feel to it, you really did a beautiful job. Stunning work. I love it. Oh wow, this is absolutely stunning!! The colors are so beautiful!! The poinsettia looks amazing!! What a gorgeous card this is!! I love, love it!! 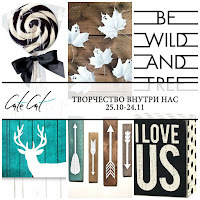 Thanks so much for playing along at Anything But Cute for our Rustic Glam challenge!! My dear, so beautiful work!!! 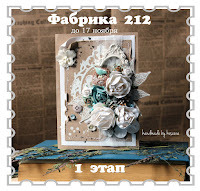 Thank you from a blog Fabrika 212! Thanks so much for joining at CuteCut! So very amaizing card!